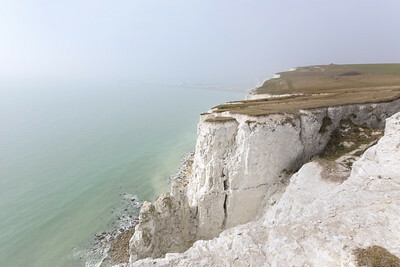 A collection of stunning images from the world famous White cliffs of Dover. With unspoilt coastline and breathtaking views. 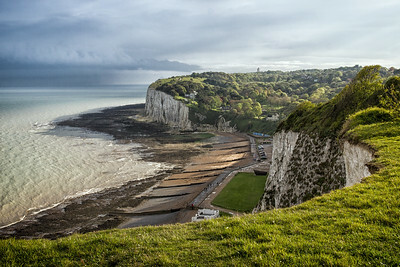 Also included in this gallery are images of Dover harbour. 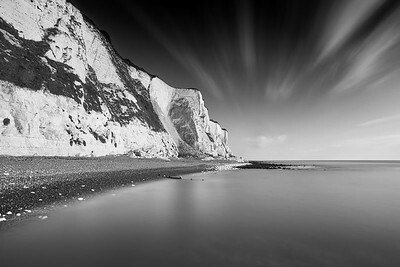 The White cliffs of Dover in black and white. 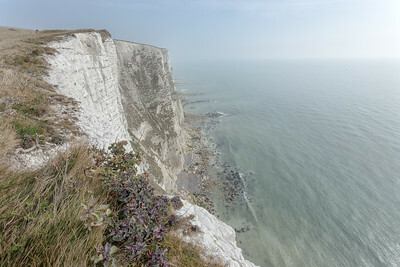 View from the White cliffs at South Foreland. 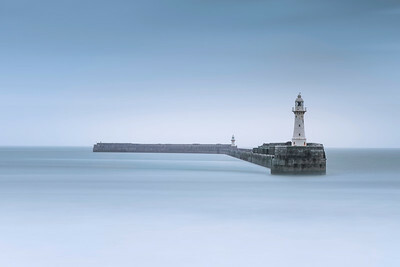 Dover outer harbour breakwater and lighthouse. 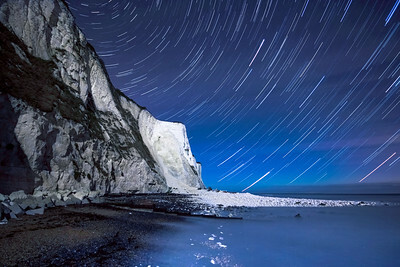 Star trails captured at St Margarets bay near Dover. A star trail is a type of photograph that utilizes long-exposure times to capture the apparent motion of stars in the night sky due to the rotation of the Earth. A star trail photograph shows individual stars as streaks across the image. Looking back towards St Margarets bay from Kingsdown. View across St Margarets bay and across to south foreland. 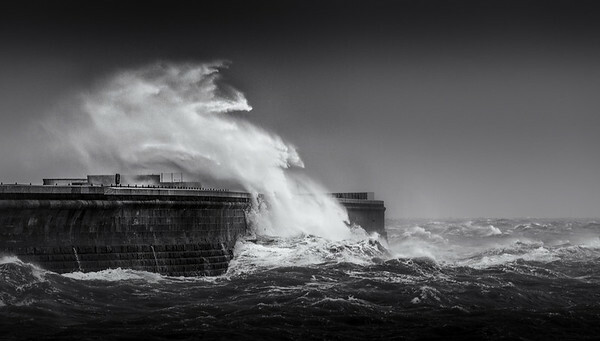 A stormy day in Dover as huge waves breach the Admiralty Pier in strong winds. 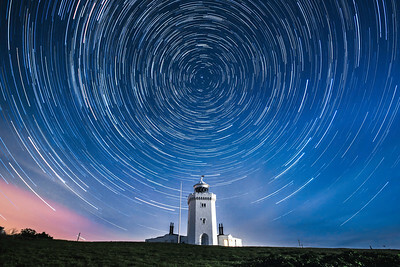 South Foreland lighthouse with star trails. A star trail is a type of photograph that utilizes long-exposure times to capture the apparent motion of stars in the night sky due to the rotation of the Earth. A star trail photograph shows individual stars as streaks across the image. 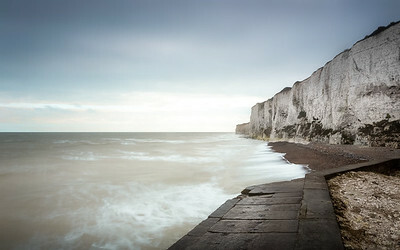 The white cliffs at South Foreland. I first found this view of Dover harbour breakwater and lighthouse whilst watching Gannet's from the end of the Admiralty Pier. 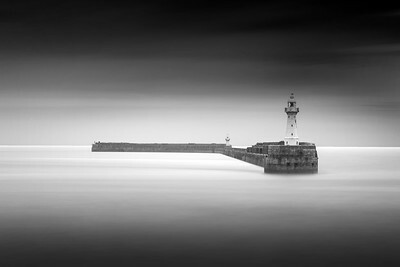 I think the minimalist composition is perfectly suited to being captured with a long exposure and finished in monochrome. 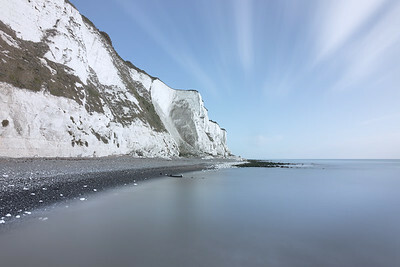 The famous white cliffs of Dover from St Margarets Bay. The long exposure adds to the feeling of the passing of time. 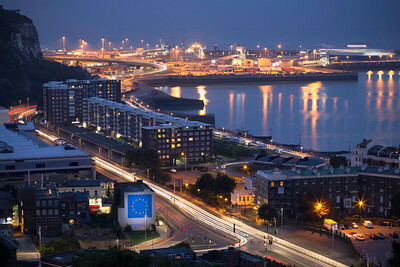 Dover photographed at night featuring Banksy's brexit with light trails.